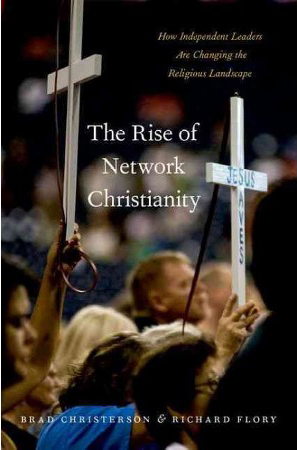 In their book on a new stream of charismatic groups and leaders, The Rise of Network Christianity (Oxford University Press, $29.95), Brad Christerson and Richard Flory find that the shift from movement to informal networks of cooperation has been a central factor in their growth. Unlike earlier movements, such as the Vineyard Fellowship, that attempt to franchise congregations under a particular name, these networks promote “a set of principles through conferences, events and media products.” The book is an updating of Donald Miller’s study of what he called “new paradigm” churches, such as Vineyard, Calvary Chapel, and Hope Chapel. The authors find that these older charismatic movements have become more institutionalized and report slower growth than in the 1990s. What Christerson and Flory call “INC Christianity” is made up of such groups and leaders as the late C. Peter Wagner, Che Ahn, and Bill Johnson, and ministries such as Global Spheres International and the International Coalition of Apostles. These groups and leaders have been associated with prosperity and New Apostolic teachings, which hold that biblical gifts and offices (such as apostles and prophets) are still active. Just as controversial have been their teachings on the “Seven Mountains of Culture,” which holds that the kingdom of God can arrive on earth through Christians’ involvement in different spheres of society (such as education, media, and business). Christerson and Flory contrast the more conventional means of Christian right activism, working within the political system, with the network leaders, who lack institutional capacity to influence the various sectors of society as they pray and prophesy for social transformation—though one of the movement’s apostles did “pray over” Donald Trump during the campaign. The authors add that these networks and their leaders are not bounded by the regulations of bureaucratic organizations such as denominations and can therefore configure and reconfigure around short-term or long-term projects. Such structures can also lead to corruption and exploitation of their followers, but they can regroup easily because such leaders operate independently of other leaders. They conclude that other sectors of Christianity may follow the lead of INC Christianity in how they encourage the involvement of lay people (allowing them to assume leadership), build on new extra-congregational financial models, and take an experimental approach to novel beliefs and teachings that attract people in a saturated religious marketplace. 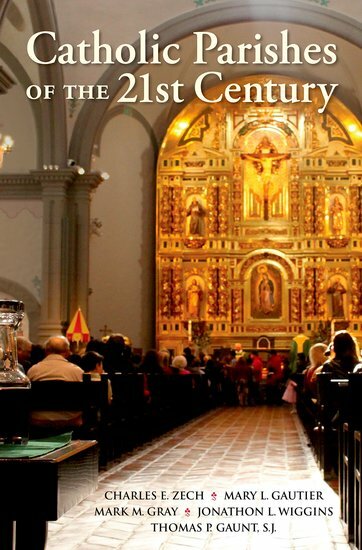 Years of data gathering and analysis on American Catholic life have gone into the new book Catholic Parishes of the 21st Century (Oxford University Press, $24.95), by Charles Zech, Mary L. Gautier, Mark Gray, Jonathon Wiggins, and Thomas P. Gaunt, S.J. Using statistics from the Notre Dame Study of Catholic Life from the 1980s as a source of comparison, the book looks at the way the church has an oversupply ofinfrastructure in declining areas of the Northeast and Midwest while experiencing a shortage of such facilities and resources in high-demand regions like the South and West. In this situation, the local church changes from the neighborhood parish to the “regional community parish,” where a team of priests serves in collaboration with laypeople and members of religious orders. These changes relate to the ways in which the Catholic population is growing, despite church membership losses; the continued growth of immigrants from Catholic countries also complicates the picture. Whether the church is in serious decline or not may also depend on how one views the steady decline of nuns, priests, and other religious vocations. More liberal Catholics are not as adverse to lay-led leadership and initiatives and the supply of 18,000 deacons who can carry out many priestly functions, while conservatives would mourn the diminishment of the hierarchical church. Other chapters look at the financial implications of these trends, with Catholic giving patterns still dwarfed by Protestants, while an updating of the Notre Dame study shows similar levels of satisfaction and preferences with liturgy and preaching in their parishes. The incomplete and fractured condition of church ruins which dot the European landscape likewise “deposit inescapable claims on the imagination,” raising questions about suffering, death, and the afterlife, Flanagan writes. There is a strongly Catholic element throughout this study, nowhere more evident than in the author’s treatment of the dark gothic. Flanagan argues that the suppressed history and culture of Catholicism provides the images and vocabulary for the dark gothic in matters ranging from demon possession, the powers of the supernatural, “nefarious feelings of terror,” and computer games dealing with the struggle between good and evil. 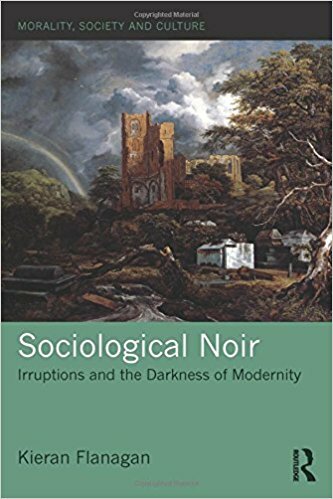 Throughout the book Flanagan calls for a “sociological noire” to deal with issues including suffering and the presence of sin and evil—all things that mainstream sociology ignores but resurface nowhere more clearly than on the Internet and the way it captures and enables extremist terror. Flanagan’s book is self-admittedly limited, only dealing with “dark matters” that hint at the gaps in the reach of secularity; his next book will focus on “the light” in modern culture that is likely to focus more on explicit religious manifestations such as apparitions. 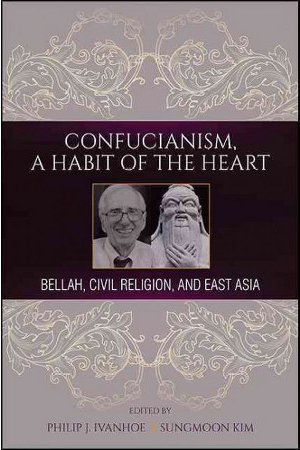 In Confucianism, A Habit of the Heart (SUNY Press, $24.95), edited by Philip J. Ivanhoe and Sungmoon Kim, a book inspired by a the work of sociologist Robert Bellah, various scholars discuss the possibility of Confucianism as a civil religion in Japan, Korea, China, and possibly on a global level. Fenggang Yang writes that a new surge of interest in Confucianism in China is mostly based on political motives spurred by the nationalistic attempt to make Confucianism a “state religion.” He casts doubt on this prospect, instead suggesting a civil religion based on both Confucianism and Christianity. Anna Sun, whose academic expertise is on the religiosity of Confucianism, investigates the Chinese Communist Party’s attempt to coopt Confucian values as a state morality. Given the ambiguity of Confucianism as a religion and the atheistic position of the party, she assumes that it may be difficult for Confucianism to become “a habit of the heart” in China. In a similar vein, Takahiro Nakajima refers to a new interest in Confucianism as a civil religion for Japanese people, though Japanese Confucian interest is unique in its concentration on Confucius as a sage. He concludes the Japanese, like the Chinese, are interested in Confucianism as a tradition and a form of non-Western morality. In a chapter on Korea, Sungmoon Kim criticizes the scores of Confucian scholars who legitimize a premodern Confucian idea in the guise of fashioning postmodern narratives. Professor Kim, however, reminds us how Korea’s authoritarian government was justified in the name of Confucian community spirit. Although the prospect a Confucian civil religion is provocative, there seems to be more differences than commonalities within Confucian tradition among various countries in East Asia. For example, some scholars trace Shintoism in Japan, which inspired an invasion of Japan to neighboring countries, to Confucianism. Unless these obstacles are overcome, Confucianism will not be regarded as a civil religion in East Asia in the way that Bellah conceived of this possibility in America. At the end of the book, Bellah, who passed away in 2013, looks seriously into the possibility of a global civil religion.